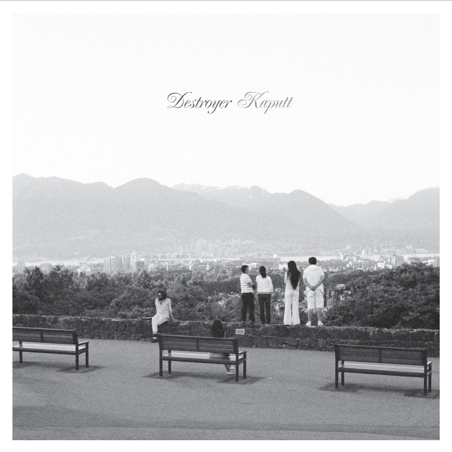 Vancouver's Destroyer, fronted by Dan Bejar, is prepping for the release of his LP Kaputt (best album name ever?) coming out later this month on Merge Records. I started following him during my college radio days and although his soft tunes have been mostly on the experimental side, he's definitely managed to keep my attention, consistently altering his sound throughout the years. Since his debut in 1996, I could safely say he's come a long way with the release of his first single "Kaputt". By creating some infectious electronic-jazz based beats for this release, I can easily see the album surprising and captivating curious first time listeners and established fans alike. Make sure to catch his album January 25th right here and if you're interested in the video, which I didn't post for the sake of not weirding anyone out, please view it here and make an opinion for yourself. In the meantime, melt away with the sneak peek.